Despite some internal experiments to the contrary, contemporary RPG heroes CD Projekt RED have decided against a multiplayer component for The Witcher’s third chapter, which will now be merely an “epic, story driven, single player open world RPG experience”. Which I guess will have to do, eh readers? The developers told Forbes in no uncertain terms that no there’ll be no wards-with-friends in The Witcher 3, now or forever. In fact, they “strongly feel that this final saga of Geralt has no place for meaningful multiplayer”. In a follow-up statement to Eurogamer, CD Projekt marketing head Michal Platkow-Gilewski confirmed as much. 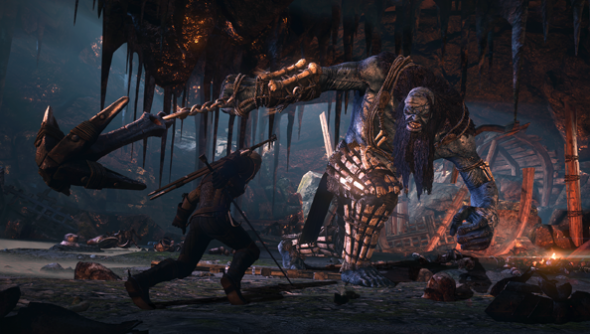 “There’s no place for multiplayer in so strongly a story-driven game as The Witcher 3,” he said. “We want to focus on the single-player experience, delivering more than 100 hours of truly immersive gameplay. It’d take a bolder fool than I to argue that CD Projekt don’t have their developmental priorities in order. But as a veteran of messy co-op in both Baldur’s Gate and Fable 2, I do wonder – are any of you lot also fans of lazily-implemented questing in company?